Downtown LA has a lot of great studios springing up, so when we saw Speedplay LA in the neighborhood, we knew we had to try it. Speedplay is high-intensity interval training that focuses on running, rowing, and floor work. Boasting an average 900 calorie burn, we left this challenging, yet effective, workout dripping in glorious sweat. This 60-minute class is broken up into sections ranging from 4 - 12 minutes, making getting through attainable for all fitness levels. Also, you work as a team throughout the circuits, so you naturally are pushing each other without even trying. There something to be said when you are trying to finish a workout together. Speedplay 60: their signature 60-minute class including rowing, running, and floor work. They also provide this class as Speedplay 45, a shorter, 45-minute, but still an effective class. Speedplay Strength is their full-body workout, focused on strength training and lifting heavy, and also a personal favorite. Speedplay + glutes is their r signature class, but with a legs and glutes focus. Speedplay + abs is their signature class, but with a core focus. What we love most about the class is the focus on proper form and injury prevention. Running is done a Woodway Curve: a non-motorized treadmill, where you control the speed. While this treadmill takes little getting use too, it’s definitely was more comfortable on the joints. 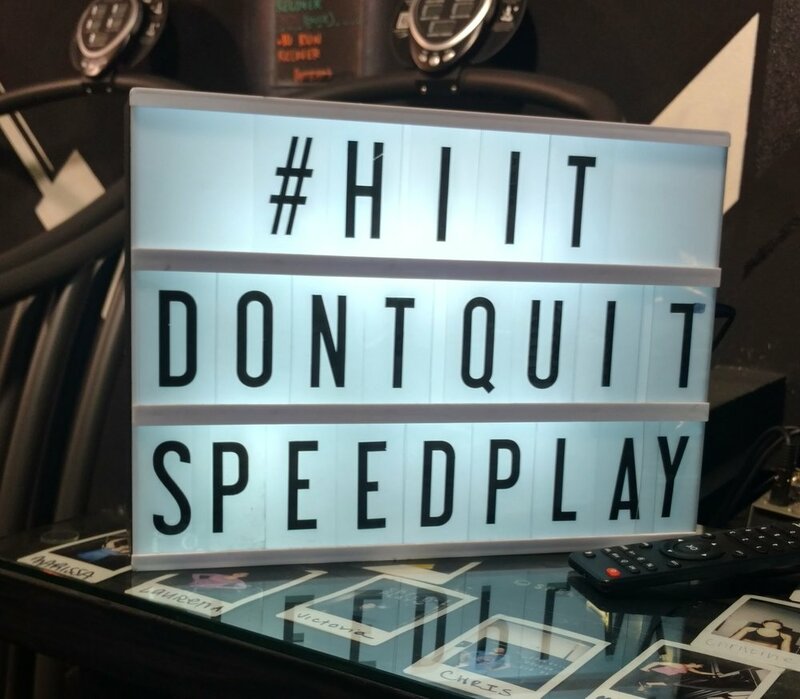 Check them out at http://speedplayla.com/. Finesse Tip: For your first class, we highly recommend taking a class with the co-founder and lead trainer Xavier Quimbo. Not only is he the most graceful instructor we’ve ever seen, he’s attentive to each person in the class.